(AP) WACO, Texas - Billionaire Warren Buffett's company Berkshire Hathaway Inc. (BRK.A) is expanding its newsprint division and buying the Waco Tribune-Herald, the company announced Friday. For Buffett, who is Berkshire's CEO, acquiring the Waco Tribune-Herald fits his stated interest in buying small and medium-sized newspapers in places with a strong sense of community. "This is a very strong, growing market with terrific assets including Baylor University and the new research park," Terry Kroeger, president of Berkshire's BH Media Group and CEO of the Omaha World-Herald Company, said in a statement. The Tribune-Herald is being sold by Robinson Media LLC, a Waco family business that bought it in 2009 from Atlanta-based Cox Enterprises. The newspaper has 124 employees. The purchase, for an undisclosed price, is expected to close July 31. The Tribune-Herald, with its daily circulation of 34,000 and 39,000 on Sundays, is one of many newspapers in which Buffett now has a stake. 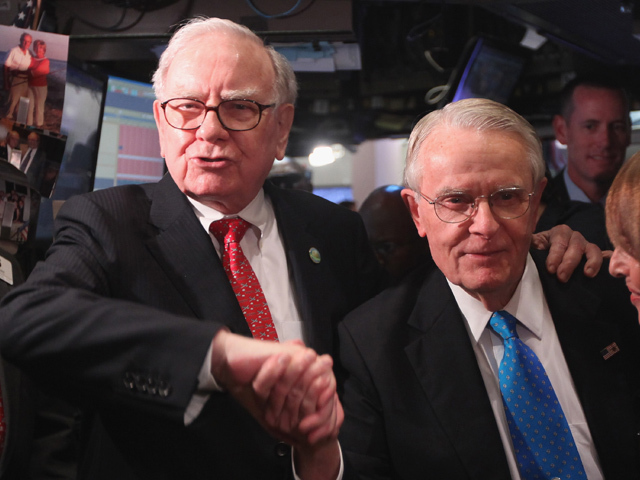 Buffett has said his company is likely to buy more newspapers in the next few years, and Berkshire Hathaway will not try to influence the editorial policies of any of them. Earlier this month, Omaha-based Berkshire announced that it is buying the Bryan-College Station Eagle, another Texas newspaper. Berkshire also disclosed this month that it owned 3.2 percent of newspaper publisher Lee Enterprises' stock at the end of March. In May, Berkshire announced a deal to buy 63 newspapers from Media General Inc. for $142 million. Berkshire also is lending $445 million to Media General. In return, Berkshire is getting a 19.9 percent stake in Media General and a seat on its board of directors. Buffett has defended the viability of newspapers, saying that they will have a decent future if they continue delivering information that can't be found elsewhere. They also need to stop offering news free online, he has said. "In towns and cities where there is a strong sense of community, there is no more important institution than the local paper," Buffett said in a statement last month. Berkshire's Kroeger met with Tribune-Herald employees on Friday, saying there are no plans to make major changes at the newspaper or launch layoffs. He said the company will work with managers in Waco to determine what might need to be done. "The long-term fate of the Waco Trib is in better hands with professional newspaper people than it is left in the hands of the local community," Robinson Media Chairman Clifton Robinson told the Tribune Herald.